• An amicable settlement may be the first option to resolve when a dispute arises between an employer and its employees. • Where a settlement agreement cannot be reached, the parties may resort to labor dispute arbitration to resolve the dispute. 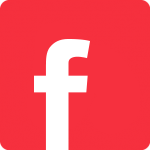 • Labor dispute arbitration awards may be challenged before courts. PRC laws provide special procedures for labor dispute resolution methods. If you, a company (the employer), have disputes with your employees, the following basic points about labor dispute resolution methods under PRC laws may be of your concern and helpful to you. Without the involvement of any third-party dispute resolution institute, the first way you want to resolve the dispute with your employee may be to reach a settlement agreement. A settlement agreement usually includes all the points that the parties could reach recognition. In some countries/jurisdictions, you may acknowledge a disagreement between opposite parties (for example, one party claims the existence of the labor relationship, while the other party claims the existence of a service relationship instead of a labor relationship), while validly waiving the right to sue on such a ground. However, this is not the case in China. In principle, the PRC laws do not admit the legality of waiving the right to sue by agreements. Plenty of previous cases of the People’s courts show that the right to sue is granted by the PRC laws and cannot be deprived by agreements. Therefore, if you leave disagreement on certain disputed issue in the settlement agreement and provide that the opposite party shall not bring any lawsuit regarding such issue, the opposite may still be able to bring claims against you on such issue regardless of the provision under the settlement agreement. 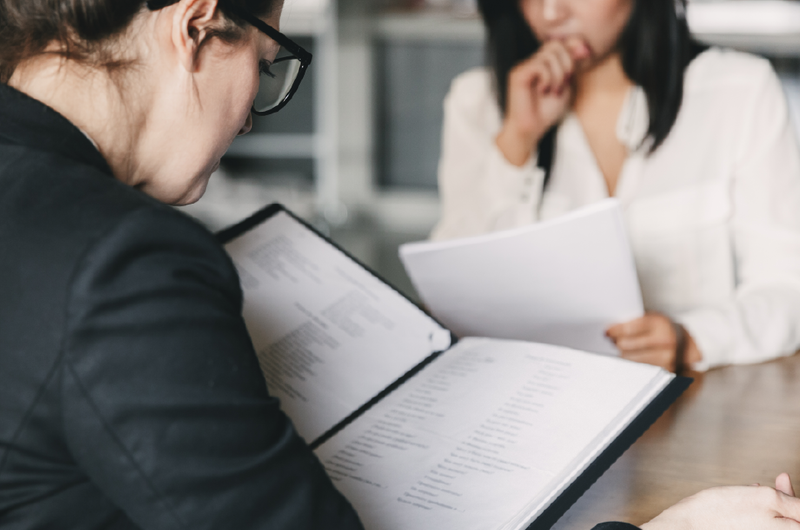 In such case, the settlement agreement reached by you and your employee may not work validly and effectively as a final and definitive resolution manner. So, if you would like to reach a settlement agreement with your employee, you may need to reach recognition with your employee in every respect in connection with the dispute. If there are disagreements between you and your employee on certain issues, you may consider not reaching a settlement agreement with your employee but resolve the dispute by the following ways. 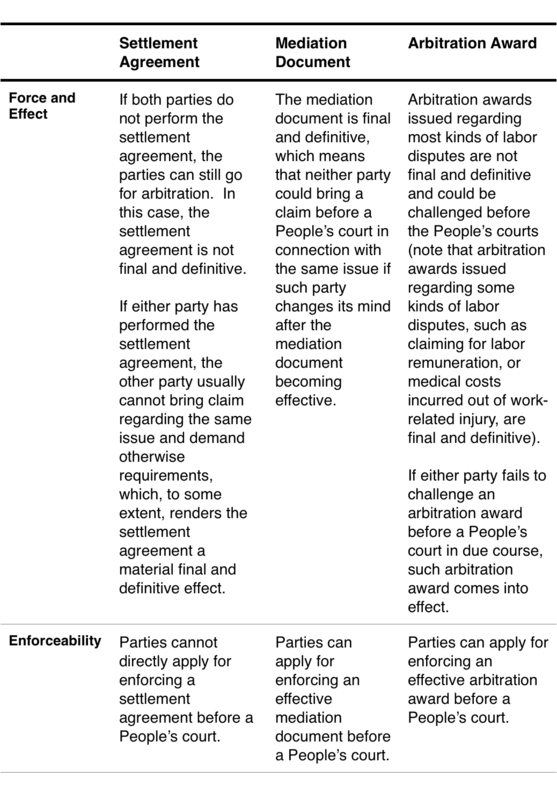 If the disputing parties could not reach a settlement agreement, either party may bring the dispute to labor arbitration (one point you may need to know is that after the initiation of the process of labor arbitration, the disputing parties could still reach a settlement agreement and withdraw the arbitration). Before the arbitration tribunal issues an award, the arbitration tribunal will mediate between the disputing parties. If the disputing parties could reach agreement on the disputed issues under the mediation held by the arbitration tribunal, the arbitration tribunal will make mediation document, which would be signed by arbitrator and stamped by arbitration tribunal. The mediation document would come into effect after all the disputing parties have received and signed the mediation document. If the disputing parties could not reach agreement under the mediation held by the arbitration tribunal, or, if either party changes its mind before signing the mediation document, the arbitration tribunal will move forward with issuing relevant arbitration award. In case a party claims that the mediation document does not address all the issues and bring a claim before a People’s court, according to some precedent judicial cases, courts usually won’t support such claim. The reason held by courts is that even though there may be some issues that were not mentioned and resolved under the mediation document, the mediation document is (usually) made to cover all the rights and obligation of the parties regarding the dispute, which means the dispute has been wholly settled via the mediation document. Therefore, courts usually will not accept such claim under PRC laws. 3. Litigation before the People’s Courts. As mentioned above, for most kinds of labor disputes, if a party does not satisfy with the result of the arbitration award made by an arbitration tribunal, such party may challenge the arbitration award and bring a lawsuit before the People’s court. Except for certain situations provided under the PRC laws that a party could bring lawsuit directly before the People’s court, such as when an arbitration tribunal considers the disputed issues as non-labor disputes and does not accept the case, a party, in principle, shall not bring a labor dispute directly before the People’s court, but shall bring the labor dispute before the arbitration tribunal first. When doing business in China, to avoid labor disputes, it is important for a company, with the professional legal and human resources assistance, to anticipate and set up a complete employee management system, such as entering into formal labor contracts with employees, obtaining certificates for foreign employees working in China, formulating employee handbook and company by-laws, paying social insurance fees and setting up housing fund for employees under the PRC laws, and establishing a clear and comprehensive procedure for individual income tax payment. Note: the contents of this publication are for reference purposes only. They do not constitute legal advice and should not be relied upon as such. Specific legal advice about your particular circumstances should always be sought separately before taking any action based on this publication.